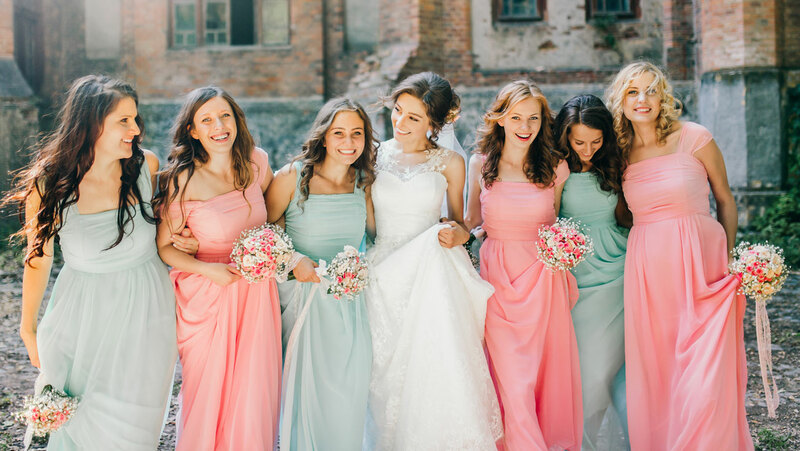 Affordable, stylish bridesmaid dresses are at your fingertips when you shop with us! Our fashion-conscious team of formalwear specialists knows exactly what you need to find for your wedding party. From vibrant color to delicate pastels, from fitted, sleek sheaths to vintage-inspired designs; we give you options that make it easier to plan your wedding. Our meticulously edited collection of gorgeous bridesmaid dresses is designed to work with your own wedding gown and the overall theme of your ceremony and reception. Pull your entire wedding vision together by choosing our lovely, high-quality bridesmaid dresses for your girlfriends!